Electronics vendor Currys -- in some places branded as Currys/PC World -- may be the first third-party retail chain to sell the Apple Watch in the U.K., a report indicated on Friday. The device is already showing up in Currys' inventory system, Macrumors observed. Searching for the product on the company's website displays a message that the device is "currently not available at Currys and PC World," with the recommendation that shoppers browse other smartwatches instead. Apple has been gradually expanding third-party Watch sales during August. The effort began with Best Buy in Canada and the U.S., but has since moved on to Myer and Harvey Norman in Australia, and most recently French electronics chain Fnac. If Currys follows in the pattern of other third-party Watch rollouts, only a limited number of locations will have units at first. The Watch was actually available through third-party stores when it launched back in late April, but stock was limited to a handful of luxury outlets scattered around the world. Apple itself began selling the Watch at retail in June, once inventory started to catch up with demand. Do the buildings actually display this name? What an ugly name to sell ?Watch. Might as well start selling it at Car Phone Warehouse too. Coming soon to UK Crapstore Unlimited. i went to one in Stockport UK, it reminded me of Best Buy in the USA the day after back friday sale. So much for the Watch being a piece of jewellery that you make a special appointment to try on, part of Apple's transition to a luxury brand. These stores are your usual high street electronics retailers where you buy TVs and $300 HP computers from. Funny, isn't it? But I'm sure they won't get the edition. I don't know if it's sales related or something else, but it does seem like a change of direction. I suspect it's more to do with the reception the fashion world has given it. Apple tried to convince the fashionista that it was an fashion accessory not a gadget, they had Christy Turlington Burns and all those high end fashion magazine shoots, and gave a special preview to Anna Wintour. But perhaps despite it all those people are not convinced, meaning it would be a waste of time to try that path any longer. So now they have decided it is a gadget after all and are coming back to us tech nerds. Tech nerds are the best early adopters anyway so this might be good for the Watch. Maybe that's what the upcoming event is all about: give all 7000 shareholders back their money in form of watches. Then fold the company and drive into darkness on an iCar. In the end the voice of Ellen Feis cane heard: "this is.... A bummer". How is it a change of direction? Apple never said the Watch wouldn't come to stores like Best Buy. Someone posted here the most recent issue of Vouge has a huge ?Watch spread. 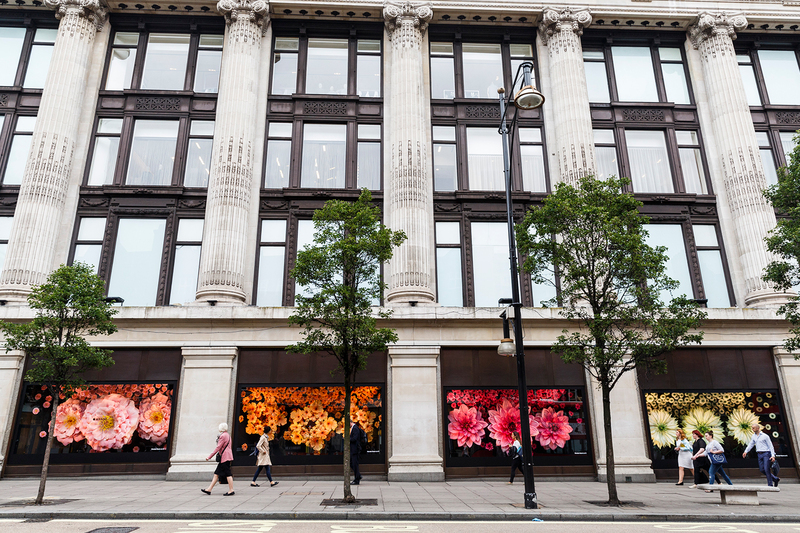 And then of course there's the massive takeover of the Selfridge's windows with huge floral displays. That sure doesn't seem to me like Apple is abandoning the fashion angle. And I won't be surprised if come September 9 Apple announces new bands or maybe even a new watch model. But isn't a high-end fashion image mutually exclusive with a PC World gadget image? How can they hope to do both? Maybe those fashion contracts, which were their initial approach, were made months in advance and we are just seeing their completion, but Apple has already changed strategy. Only time will tell. Who says you can't do both? Vera Wang is a high end fashion designer but also sells a line of clothing and accessories at discount store Kohls. I think Apple can pretty much do whatever it wants. If a store like Curry's sells other Apple products then it only makes sense to sell the Watch there too. But I'm sure like Best Buy they will only be selling certain models. Not the gold and probavly not the space black stainless steel either. I guess I was assuming that highendedness presupposed exclusivity, i.e. to be high end at all, a product can't be available to everyone. But maybe that's not correct. If highendedness simply means "the best" and, due to the nature of the product, a lot of expense is not required to make the best, then a product can be both high-end and low-end at the same time (minus the gold unibody). Let's see if Apple can pull it off. IMO the I road into fashion was made for the edition. I image most buyers of the steel and sports versions buy it for using it, not so much for the fashion aspect. And the price leaves enough room between the two groups. Yes they are called PC World - Problem? PC World/Currys are quite a major brand, well regarded and probably where the average person would go to buy technology in the UK now. 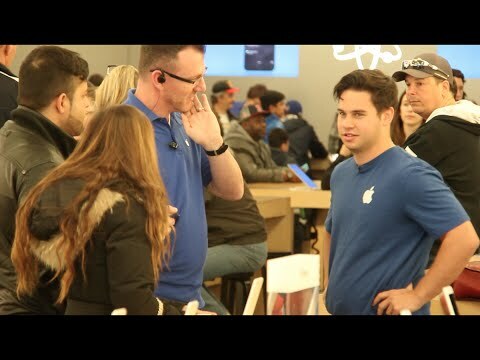 They have a large range of Apple hardware and accessories on display and their sales staff are generally quite knowledgable - not up to Apple Genius level, of course, but good enough for most people. The larger town and cities have Apple Stores but my nearest store is an hour's drive away. Most Brits wouldn't travel that far just for a shop when they have a similar one, like PC World, on their doorstep. We also have a small independent brand called the iStore which only sells Apple products and related accessories. They copy the Apple Store to a degree in the way they present and sell products and always refer to the Apple Store price list if you ask for prices (no discounts from Apple prices). Dixons has disappeared as a high street name but they do own PC World and Currys and retain an online presence as well as the odd airport shop. Most of us techie folk probably know exactly what we want and just order online to get the best deal. I typically buy direct from Apple's online store or from John Lewis, Amazon, BT or PC World if I can get a better deal. John Lewis offer a two year warranty on everything which can be quite attractive when most retailers offer just the statutory minimum of 12 months. In theory we can claim up to 6 years after purchase if it can be shown the product had a manufacturing defect but it can be tricky and most consumers aren't aware of this. Wal-Mart, Costco and Target sound like peculiar names to most of us this side of the Atlantic - it's just what you're used to (and no doubt the intense marketing helps). The main problem with these kind of stores is they work on reseller margins so they try and push their own accessories/warranties and they don't train staff very well. The sales people help shift the goods though and they let people get a hands-on experience without going all the way to an Apple Store which might be a bit far from them so kind of a necessary evil. Actually, the fact that Apple Watch has turned up on this companies internal systems is still inline with Apple's policy of selling a luxury, fashion item. This is because what you don't realise is that Dixons Carphone, whilst operating their own stores in the UK, also run the electronics concession within Harrods in London, probably the world's most famous store. Harrods, as I'm sure you are aware, caters to the type of people living in London, who will spend more money than most of us earn, on a huge OLED, curved TV or a diamond and gold encrusted iPhone. So the fact that the Apple Watch is going to be sold is VERY much a statement of Apple's intentions. Don't expect to see it however in your local Currys store anytime soon. There are also a couple of flagship stores run by the same company, branded as 'Black' which look and feel very much like Apple stores and it could possibly show up there (in my opinion). Guys, I think you'll find that Apple's decision here is more to do with the fact that Dixons Carphone run the electronics department inside the world's most famous department store....Harrods. So, in my opinion, the Apple Watch's recent appearance on the company's internal stock system merely demonstrates Apple's eagerness to sell their product (and I wouldn't mind guessing) the Edition version in particular, to the world's rich and famous who spend more money at this store than most people could probably dream of. I have it on good authority, that amongst their best selling lines are items such as diamond encrusted iPads and Samsung tablets as well as 24 carat Gold iPhones and we're not talking ones and twos, these items sell in bulk. I'm told that one oil rich customer from the middle east purchased over 60 diamond covered 128GB iPad Air 2 devices for his friends and family, with no mention of AppleCare or extended warranty. If they go wrong, these people simply buy more and Apple know this. So, whilst Apple stores and lesser department stores like Selfridges undoubtedly do a great job selling to the likes of you and me, opening up the Watch market in Harrods to cash rich, fashion conscious shoppers, would seem to be very much in line with their aim to make the Apple Watch, THE luxury smartwatch to have. Just look what happened to iPod sales which initially struggled until David Beckham was spotted sporting one just after his transfer to Real Madrid a few years back. If they expand sales to some of other stores (Currys PC World) in the long run, what harm can that do? Some of the guys in these stores are every bit as knowledgeable as staff in Apple stores and do a great job selling other Apple products and the Watch is just an extension to this. Why do some people have to be such 'techno-snobs'? I don't get it. In the phone shops you can see the kind of things that happen with mixed brand stores. A lot of the sales people are your typical tech types, some of whom show up on the forum now and then who have the idea that Apple is overpriced crap and don't hesitate to tell anyone and they think people are just falling for Apple's marketing. They have no brand loyalty, which could be considered a positive but they have a negative bias towards Apple and it's usually only against Apple so they recommend anything-but-Apple. Part of this comes from the cheap manufacturers who pass more reseller margin to their stores. Apple doesn't need to give resellers great deals or selling incentives because their hardware sells just fine. If some cheap brand manufacturer is struggling and passes 10% margin and all sorts of sales incentives and Apple is passing on some single digit percentage margin, the knowledgeable staff members are hardly going to be recommending the best product but the product that gives them the best commission, after-sales revenue (phone support, warranty etc), sales targets, accompanying product commission and the one that satisfies their own bias. The massive success (in profit and marketshare) of the iPhone and iPad has done a lot to change people's opinions but tech people still have the attitude that being dismissive of people they see as hipsters makes them look smart and they often do it in an arrogant manner. In an Apple Store, you don't get people trying to lie to you about alternative deals with better specs, better value, phoney support services and warranties. More upmarket 3rd party stores have better staff but in budget stores, the same sales people drift between them and the phone stores. They stand out a mile but you can see how the customers aren't really phased by it, they just don't expect it in an Apple Store. That's the kind of thing that happens in mixed brand stores.